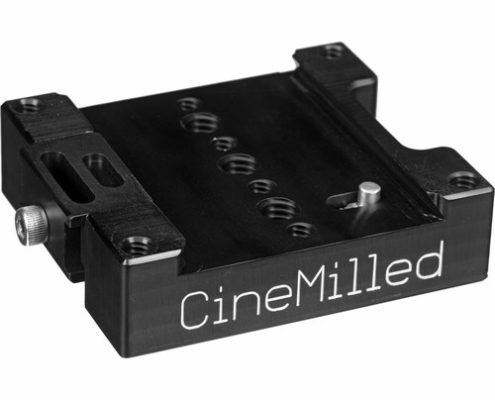 Quickly swap your camera between the Ronin and other support gear with the Quick-Switch Mount Plate from CineMilled. The point of this plate is not only to let you easily swap back and forth but to also allow you to keep the camera fully built up the Ronin’s factory dovetail the whole time, with transmitters, handles, or other gear attached. 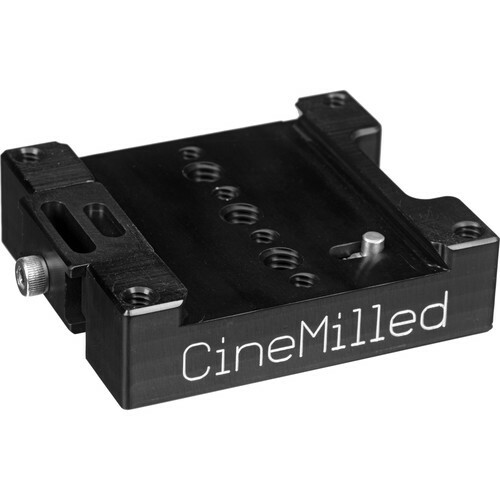 The Quick-Switch Plate is designed to accept the Ronin dovetail plate on top and your tripod plate on the bottom. A safety stop on the top keeps the Ronin dovetail securely in place. Screws on the side tighten everything in place at the end, and the screws don’t fully come off, so you don’t have to worry about having to put them away. Screws are used instead of kip handles in order not to interfere with different-sized plates.